Three films playing this weekend address health-related issues. The Martha’s Vineyard Film Festival brings “The Genius of Marian,” a documentary about the impact of Alzheimer’s Disease on director Banker White’s family, to Edgartown’s Harbor View Hotel on Friday, Oct. 4. And two fiction films from the International Film Festival that deal with cancer return to the Martha’s Vineyard Film Center this weekend. Alzheimer’s Disease has dealt a double blow to Mr. White, a Katama summer visitor, first taking his grandmother Marian Williams Steele at the end of her life, and more recently afflicting his mother, Pamela Steele White, in its virulent, early-onset form. “The Genius of Marian” does not concentrate on Mr. White’s grandmother, who was a gifted painter. Instead it is a loving portrait of his mother, set in the larger context of a family that has dealt with Alzheimer’s effects over two generations. In 2007, Mr. White’s mother began a book with the same title as the film that was intended as a tribute to her mother. 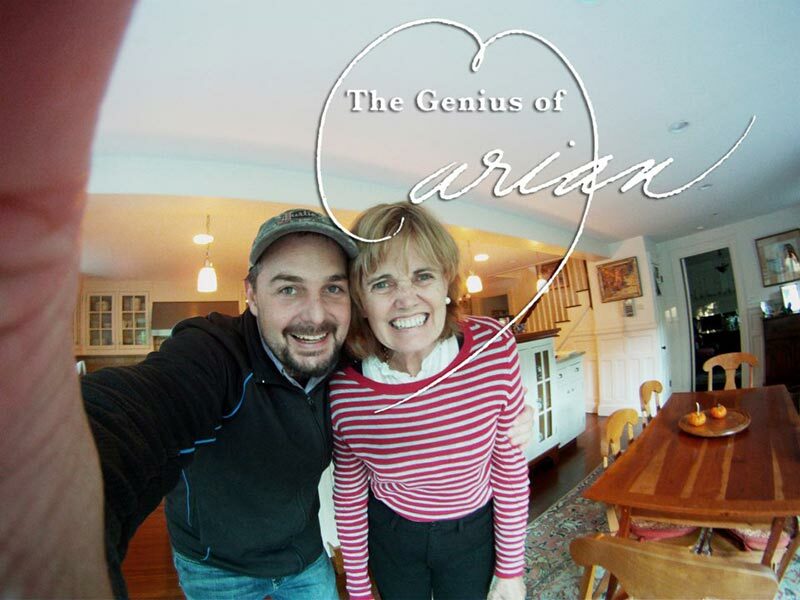 When Ms. White was diagnosed with Alzheimer’s at age 61, “The Genius of Marian” morphed into this haunting documentary. The book was never completed, but the film observes Ms. White visiting the storage space for her mother’s paintings and recounts fragments of family history. Following his parents’ daily routines as the disease takes hold, the filmmaker also trains the camera on Ms. Steele’s art, displayed on the walls of the family’s Dedham home. Footage and stills from the family archives, when Ms. Steele was still alive, are interspersed with interviews of friends, siblings, and especially the filmmaker’s father, Ed, who puts his job as an investment counselor on hold to become his wife’s caregiver. “I don’t want to say ‘was,'” one friend confesses, when she reminisces about Ms. White’s glory days as a young model, a counselor, and a member of a women’s singing group. A trip to a hospital’s Cognitive Neurology Unit adds a grimly objective assessment of Ms. White’s growing mental deficits. Viewers will recognize Edgartown Harbor in shots of a boating excursion while members of the family are visiting their summer home in Katama. “I want to make this project because I think you’re an amazing person,” Mr. White tells his mother toward the end of a film that is compelling in its intimacy. By joining past and present and expanding his mother’s story to include the whole family, Mr. White confirms an appraisal of his mother that echoes his mother’s view of her own mother. The filmmaker was taking “The Genius of Marian” to the Camden International Film Festival in Maine last week where it was to provide the centerpiece to an Aging in Maine Engagement Summit, when he shared his thoughts about the film. “I kept [the title] because I liked the spirit of my mom’s project,” Mr. White said. “I think my initial motivation was to explore what was happening. I’m the only artist of Marian’s grandchildren. I painted with her all the time when I was a kid.” After his mother was diagnosed, the California College of Arts and Crafts MFA graduate decided to move back to the Boston area, in part to see how he could help out. He spent 2010 and 2011 living in Dedham with his parents and filming their daily life. Mr. White won an American Film Institute documentary award in 2005 for his film “Sierra Leone’s Refugee All Stars,” about a band of musicians from the Sembakounya Refugee Camp in Guinea. Mr. White will answer questions at Friday’s screening of “The Genius of Marian,” which will also be broadcast nationally later this fall. “Love Is All You Need,” at the Film Center this weekend, puts a light-hearted, comic spin on the travails of Ida (Trine Dyrholm), who is recovering from cancer. She finds romance with Philip (Pierce Brosnan), the father of her daughter’s fiancé. Romance and bluegrass music leaven the dark vision of “The Broken Circle Breakdown,” a film by Belgian director Felix Van Groeningen that won awards at the Berlin and Tribeca Film Festivals. Didier (Johan Heldenbergh) is a Flemish bluegrass musician who meets Elise (Veerie Baetens) in the tattoo parlor where she works. 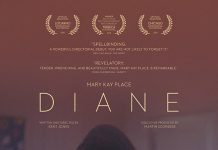 Love follows, and the couple’s idyllic life together begins to disintegrate after their seven-year-old daughter Maybelle falls ill.
What makes this heartbreaking story particularly powerful is the way it presents clashing metaphysical views. Didier is a secular humanist who denies the existence of an afterlife. Elise is a believer, and their opposing visions set off sparks throughout the movie. In a special event, the M.V. Film Center will screen “Letters to Jackie: Remembering President Kennedy” on Wednesday, Oct. 9. “The Genius of Marian,” Friday, Oct. 4, 5 pm, Harbor View Hotel, Edgartown. $10; free for M.V. Film Festival members). 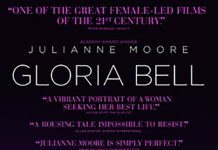 For tickets and information, visit tmvff.org. “All You Need Is Love,” Friday, Oct. 4, 7:30 pm; Saturday, Oct. 5, 4 pm; Sunday, Oct. 6, 7:30 pm, M.V. Film Center, Vineyard Haven. “The Broken Circle Breakdown,” Friday, Oct. 4, 4 pm; Saturday, Oct. 5, 7:30 pm; Sunday, Oct. 6, 4 pm, M.V. Film Center, Vineyard Haven. “Letters to Jackie: Remembering President Kennedy,” Wednesday, Oct. 9, 7:30 pm, M.V. Film Center, Vineyard Haven. Tickets for all Film Center films $12; $9 M.V. Film Society members. 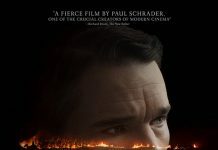 For tickets and information, visit mvfilmsociety.com.